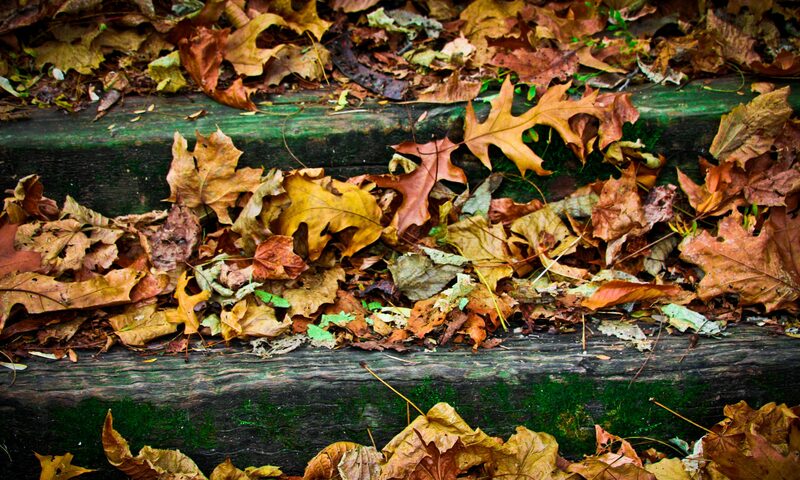 Asking me if I have a favorite photograph is like asking me if I have a favorite song. Favorite of who? What time frame? Just by themselves? Or with others? I worked in the photo-finishing business for more than 35 years and I love photographs. My favorite, though, probably changes quite often. Right now, my favorite photograph is one that I acquired not so long ago. 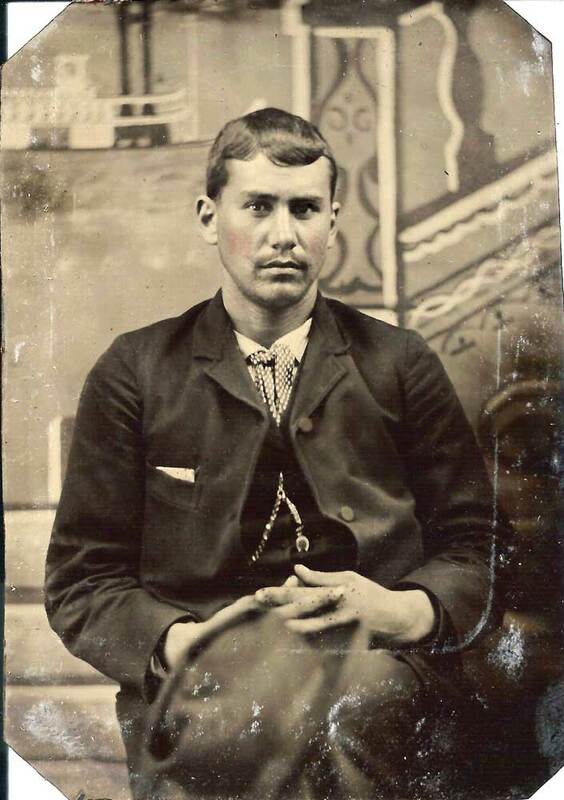 I had been trolling around on the Ancestry site looking through other people’s trees for a clue to a mystery that I had been turning over in my mind and up popped a photograph of one Mace Pittman. Wait! What? After looking over the information and realizing that it was my great-grandfather, I was pretty excited (and that’s a huge understatement). It didn’t click with me at first because, to me, his name was Jeremiah Mason Pittman and I had only seen my great-grandfather named as Mason or Jerry in the records that I’d found. This was also a good lesson for me in not using tunnel vision while searching for names. I’ve seen very few photographs of my father’s family over time and this was a great photo. I sent off a message to the man whose tree the photo was on and asked permission to attach it to my tree and received back a timely reply not only granting permission but offering up the photo to me if I’d like it. To make a long story short, around the Christmas holiday I received a package containing the framed photo. Never underestimate the kindness of strangers. So, a little about Mace. He was born on Sunday, 08 May 1870, in Sunsbury Township near Woodsfield, Monroe County, Ohio to Jeremiah Pittman and Lydia “Jane” Gray, the second of five known children born to them in this marriage. Each had children from previous marriages. Jeremiah had two daughters from his marriage to Rachel Mellott and Jane had four- three sons and a daughter from her marriage to Archibald Mellott. (I haven’t figured out the exact relationship between these two Mellots yet, but I’m fairly certain there is one.) On the 1870 census of Monroe County, we find Jeremiah and Lydia with their three-year-old daughter, Lillie, and Jeremiah Mason, who was a month old. Three of Lydia’s sons from the previous marriage were also living with them. Jeremiah was a farmer with a modest farm compared to those of his neighbors (mostly Mellott and Pool families). Within six years Jeremiah will be dead, leaving Lydia Jane widowed with four young children again. 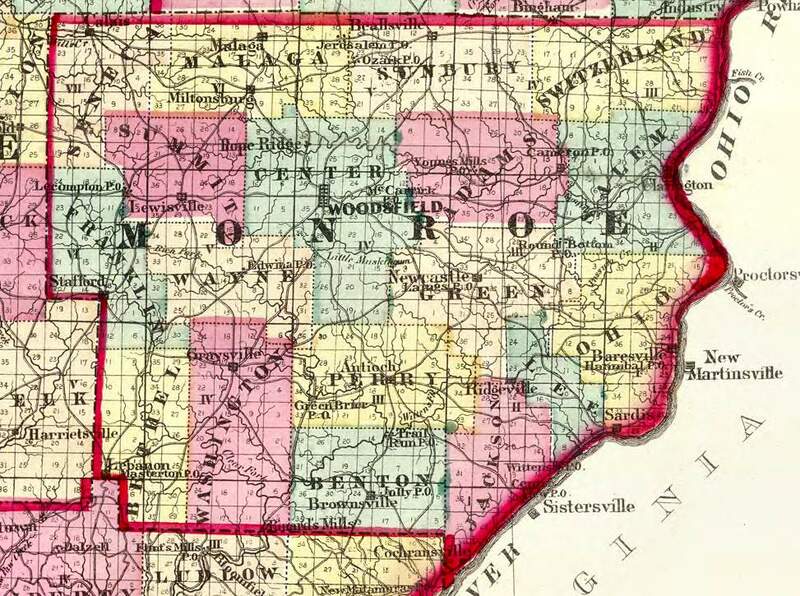 Her older Mellott sons have moved on and in the 1880 census, we find “Jane” in Switzerland Township, Monroe County, 12-year-old daughter, Lillie, and our 10-year-old Mason, along with the two additional young sons, George and Calvin. Lydia Jane is probably surviving on a widow’s pension going back to her first husband Archibald Mellott. It has been found where Mason’s father, Jeremiah, registered for service in the Civil War, but not if and when he actually served. 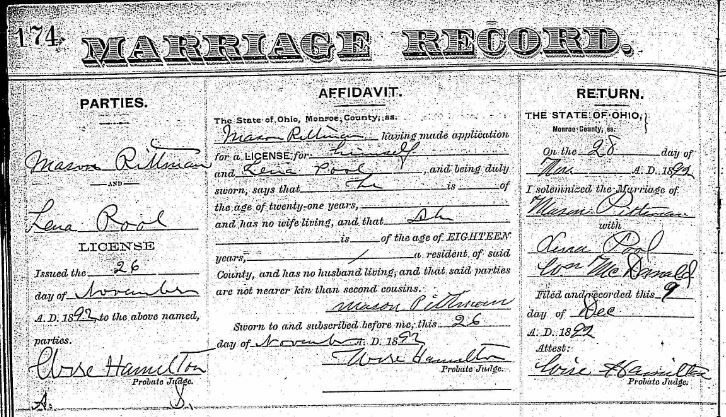 On the 28th day of November in 1892, Mason Pittman married Lena Pool in Monroe County, Ohio. The 1900 census finds Mason and Lena back in Sunsbury Township renting a farm. They have added three young daughters to their family- Lottie, born in October of 1893; Francie, born in February of 1898; and, Esther, born in September of 1899. By 1910, Mason and Lena have moved to Wayne Township in Belmont County, Ohio where Mason is still farming, but now as an employee. He and Lena have been married for 18 years and Lena has birthed seven children, all of whom have survived. They have added four more daughters to their family (yes, seven girls! ), Eva, born in 1901; Lillie, born in 1904; Elma Jane, born in 1906; and, my grandmother, Erma, born in 1907. During the time of the census enumeration, Lena would have been carrying her eighth daughter, Celesta, who would be born in November of 1910. Come the 1920 census, we find that the family has moved once again to a new farm, this time to Flushing Township in Belmont County, Ohio and Mason is working the farm on his own account. They have added two sons to their family! Raymond was born in 1913 and George was born in 1914. Mason was nearing the age of 50 and I can imagine, that being a farmer, he was glad to see two boys come along. One thing that I found notable while looking at this particular census is that all of the members of the family except for the five and six-year-old boys were able to read and write. After looking at hundreds of census records of farming people, I can tell you that this is not often the case. It is not known how much the beginning of the Great Depression affected the family but by the time of the 1930 census. We find Mason and Lena living on Sandal Place N.E., near-in to downtown, in Canton, Stark County, Ohio. Mason is still listed as a farmer but is noted as being unemployed. Daughter Elma, now 23, is working as an inspector at the bearing works and son Raymond, 18, is working as a laborer at a gas company. Son George, 15, has not attended school at any time since September of 1929. We also find that Elma’s son, Arnold, 5, is living here also. Although he is listed as the son of the head of household, we know that this is Elma’s son, born in January of 1925 in Berea, Ohio. 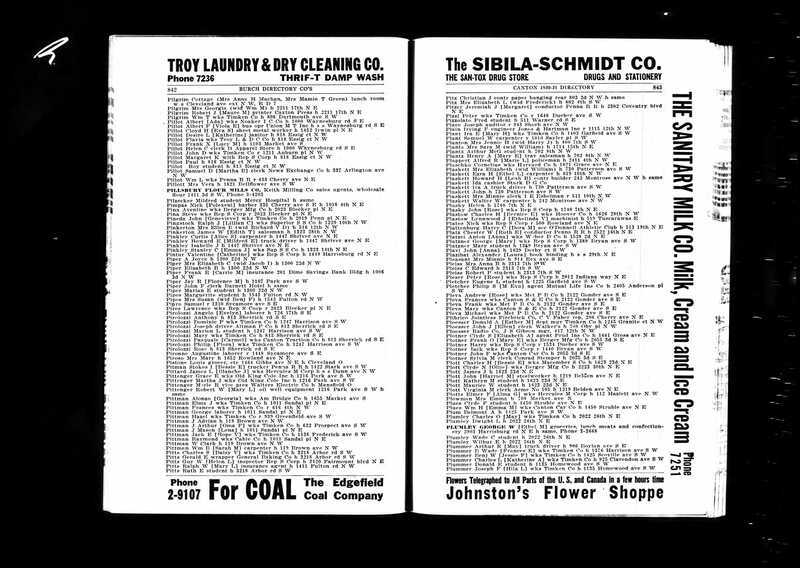 In the 1930-31 Canton City Directory, we find Mason, Lena, and children’s address is 1011 Sandal Pl. N.E. with Elma Jane working at the Timken Company, Raymond working for the Cable Company, and George as a laborer. 1011 Sandal Pl. N.E. as it looks today. Then the family moves again the next year to 1550 Greenfield Avenue S.W. (This home no longer exists.) George has moved out and Raymond, and Elma, and her son, Arnold, are the only ones still living with Mason and Lena. 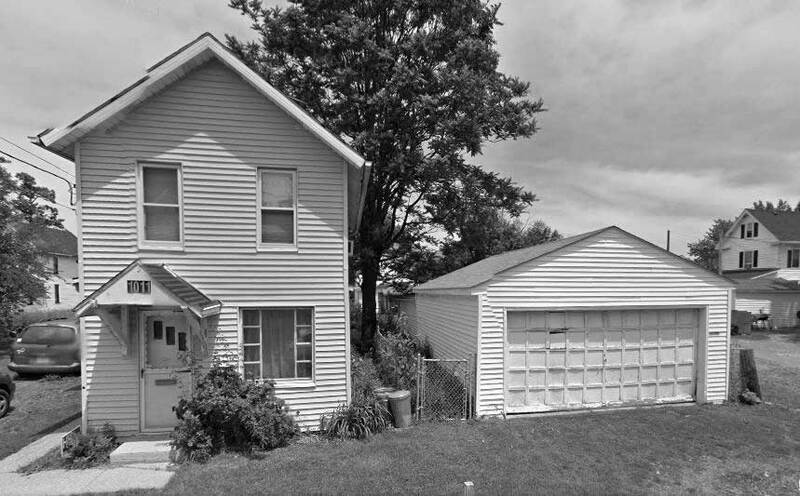 By 1940, Mason (who is going by Jerry now), Lena, son George, and Elma and her son, Arnold, have moved to New Cumberland in Tuscarawas County, Ohio. The next year, in October, Lena dies from Diabetic Gangrene. Mason’s son, Raymond, died in January of 1945 from asphyxiation when he fell asleep in his car. Mason passed away in a nursing home in Tuscarawas County on 29 March 1958. He was 87 years old. 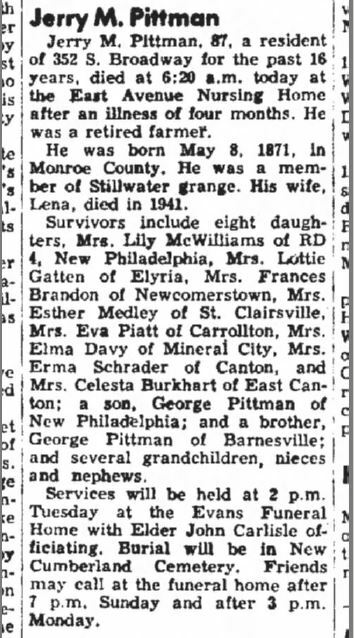 Note that in the following obituary that his birthdate is stated as being in 1871. We know this not to be true because Mason appears on the 1870 census, being born in May of that year. While it is true that every picture does, indeed, tell a story, unless we know that person intimately, we can only guess at the stories in the lives of those pictured. 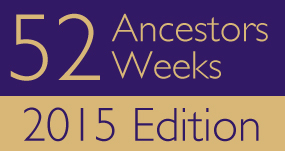 The documents that we find while doing genealogical research help us to piece that story together. Bit by bit. The optional theme for this week was “Favorite Photo”. Database online. Year: 1870; Census Place: Sunsbury, Monroe, Ohio; Roll: M593_; Page: ; Image: . Database online. 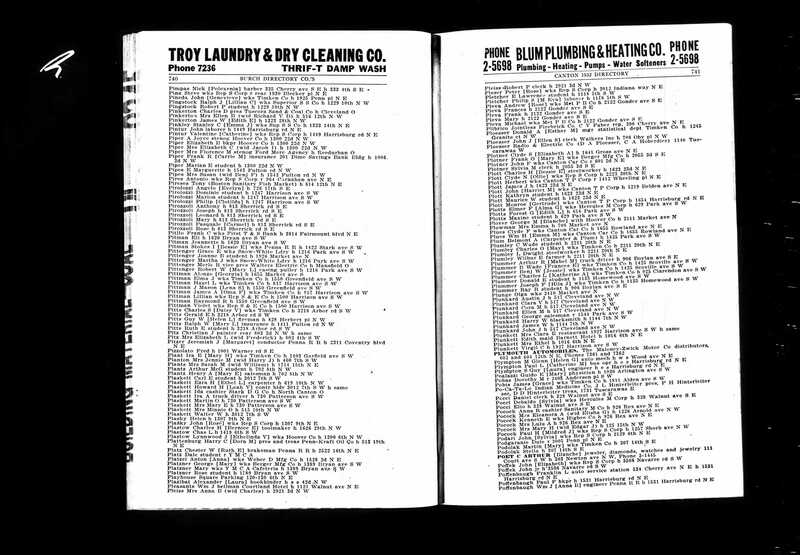 Year: 1900; Census Place: Sunsbury, Monroe, Ohio; Roll: T623_31077_4117770; Page: 15A; Enumeration District: 0103; FHL microfilm: 1241305. Database online. Year: 1910; Census Place: Wayne, Belmont, Ohio; Roll: T624_1157; Page: 9B; Enumeration District: 0053; Image: 482; FHL microfilm: 1375170. Database online. Year: 1930; Census Place: Canton, Stark, Ohio; Roll: 1870; Page: 13B; Enumeration District: 14; Image: 815.0; FHL microfilm: 2341604. Database online. 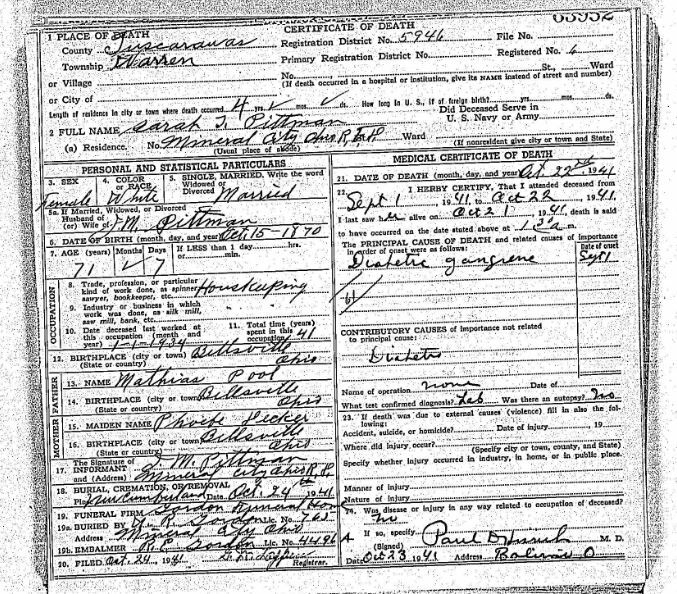 Year: 1940; Census Place: Warren, Tuscarawas, Ohio; Roll: T627_3161; Page: 1B; Enumeration District: 79-68.